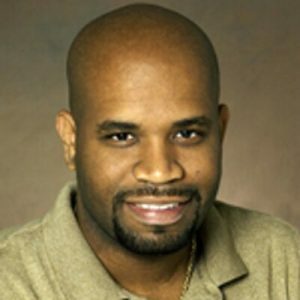 Tariq King is the senior director and engineering fellow for quality and performance at Ultimate Software. With more than fifteen years’ experience in software testing research and practice, Tariq heads Ultimate Software’s quality program by providing technical and people leadership, strategic direction, staff training, and research and development in software quality and testing practices. Tariq is a frequent presenter at conferences and workshops, has published more than thirty research articles in IEEE- and ACM-sponsored journals, and has developed and taught software testing courses in both industry and academia. His primary research interest is engineering autonomous self-testing systems. He is cofounder with Jason Arbon of the Artificial Intelligence for Software Testing Association. Contact Tariq via LinkedIn. Testing practitioners are leveraging advances in artificial intelligence (AI) and machine learning (ML) for automated testing—an area that still requires significant manual effort. Some vendors provide services that use intelligent agents to perform system-level black box testing. These agents explore the application user interface, discover flows, exercise functionality, track performance, assess usability and more. However, validating software from the outside only represents half of the testing story. A significant portion of modern software testing targets the internal structure of the software. During development software, engineers test individual components and any dependency relationships between them. Continuous integration and deployment pipelines are set up to validate code changes and prevent bugs from being introduced into the previously tested code. Tariq King believes that for AI-driven testing to become mainstream, vendors must provide a holistic solution that addresses validation from both the outside-in and the inside-out. In other words, the software will have to be designed with testing as an integral part of the system. Furthermore, the need for self-testing will grow as more and more systems are designed with AI and ML features that make them difficult or even impossible to adequately test before release. Join Tariq as he shares a vision of systems that can adapt and learn from their environment, detect issues or problems at runtime, and heal themselves with little or no intervention. See a demo of how autonomous and intelligent testing agents work today, and then take a journey into the future of AI-driven self-testing systems.